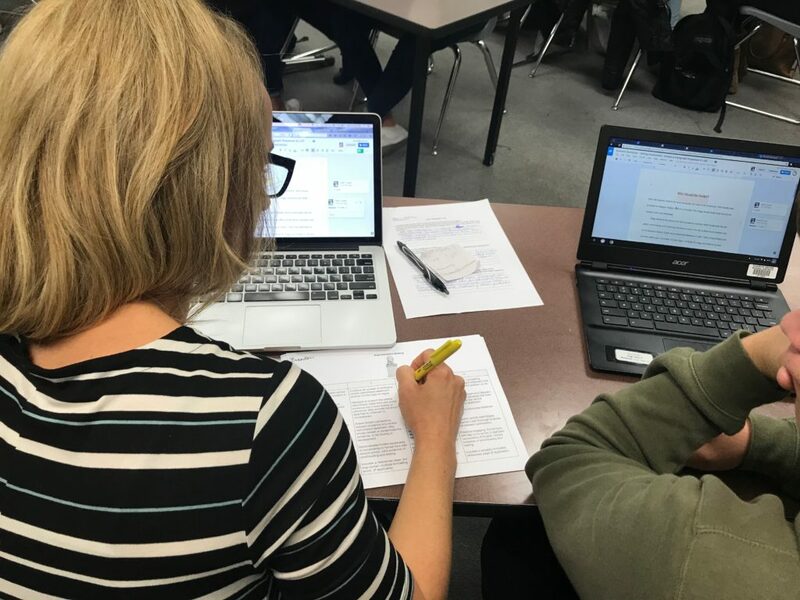 Grading in isolation robs us of the opportunity to have conversations with students as we assess their work and, ultimately, makes feedback one-sided and less effective. Grading at home robs us of precious time with our families, time to relax, and time to create dynamic learning experiences for students. When I tell teachers I have not taken grading home since January of last year, they are immediately interested. They want to know exactly how I have managed that as a high school English teacher. 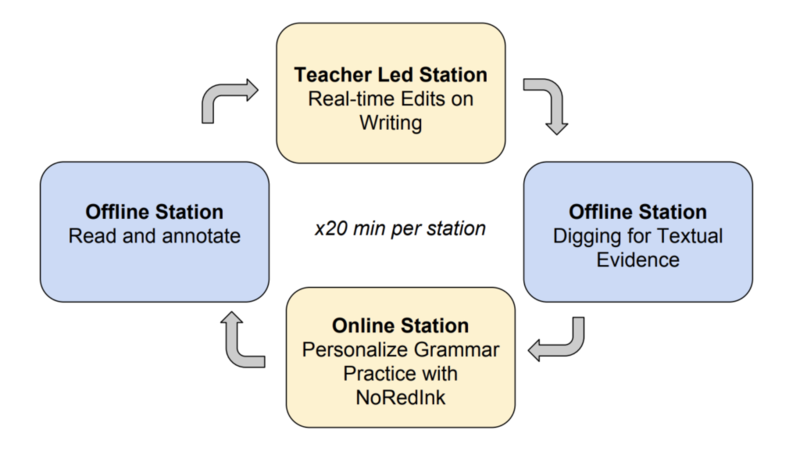 I explain that I use blended learning models, like Station Rotation and Whole Class Rotation, to create the time and space needed to move assessment into the classroom. 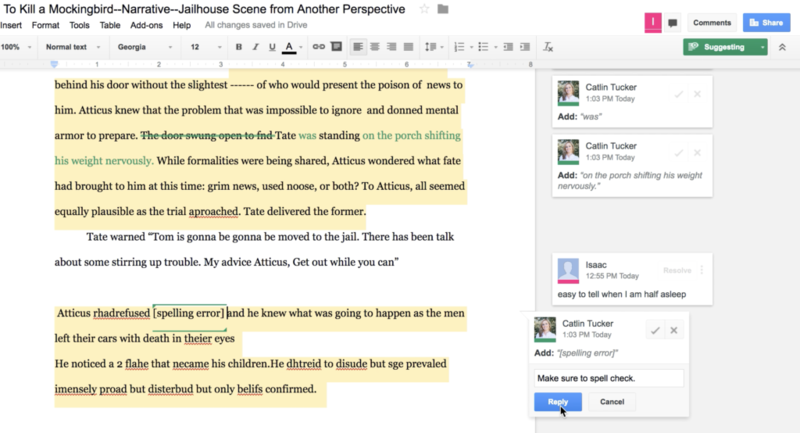 If students are working 0n an essay, I dedicate one station each day to providing real-time feedback as they write. Teachers want to know what the other students are doing while I am engaged in my real-time editing station. Below is an example of a station rotation lesson for my 9th and 10th English class. I work in a 90-minute block schedule so I can move my students through four 20 minute stations. I also coach teachers who teach traditional 50-minute classes and they have a four station two-day rotation. In that model, students hit four stations over the course of two days. These grading conversations take about 3 minutes because I do not try to grade every single aspect of their paper or assignment. Instead, I select 2 or 3 specific skills to assess for a score. In the rubric below, you’ll see I’ve select claims and analysis. There are other aspects of writing covered in the rubric, but I don’t try to assess them all for every single assignment. Most teachers I work with struggle to limit the scope of their assessments. They use complex 5 or 10 point rubrics and assess every aspect of an assignment. This is overwhelming for students who are attempting to master specific skills. 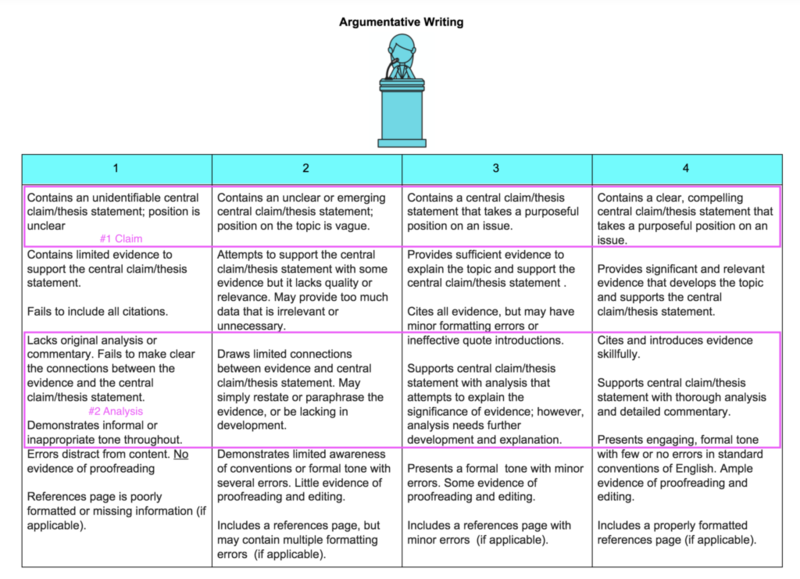 When I assess their first piece of argumentative writing, I may only provide assessment scores for 1) the quality of their claims and 2) their analysis of their evidence. Then on the second argumentative essay, I may focus on 1) quality of their evidence and 2) analysis. As they write, they receive real-time feedback on all of their writing, but when it comes time to give them an assessment score, I keep my focus narrow. When I lead workshops on assessment and grading strategies, there are always a few teachers who protest, “I don’t have time to provide feedback in the classroom or have grade conversations. I’m barely getting through all of the curriculum.” When I hear this, I wonder how much students learn when we race through content but do not dedicate time to supporting the development of specific skills. Students need feedback to improve their skills. This should happen in the classroom where the teacher can act as a coach. Teachers who are tired of taking stacks of grading (real or virtual) home and want their feedback to be more meaningful should use the new year as an opportunity to explore different approaches to teaching. 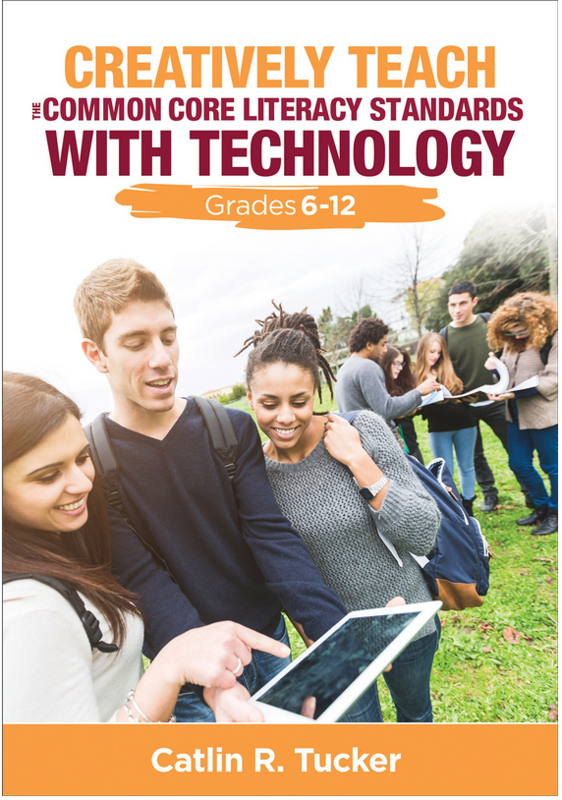 Using video content, multimedia lessons, and technology tools combined with blended learning models can create more time and space for teachers to work directly with students. 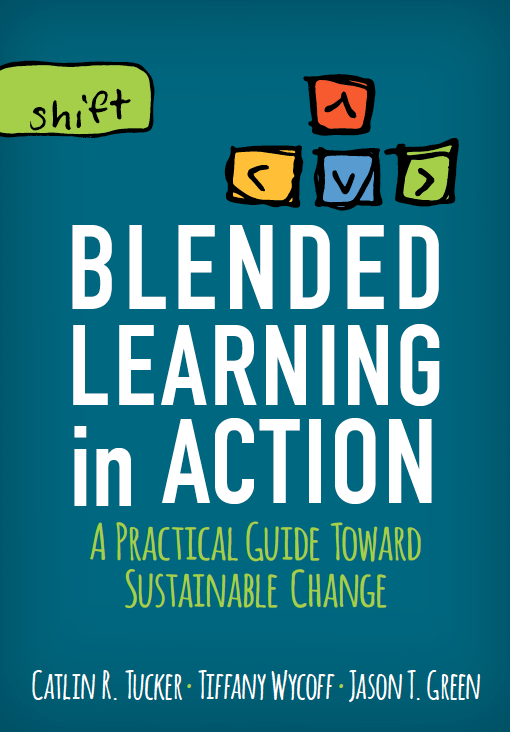 If you are interested in learning more about blended learning models, check out my newest book Blended Learning in Action. 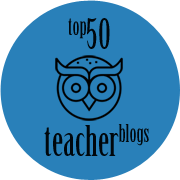 Great Ideas on the stations and grading solutions. I’ve used the Station Rotation model this year a bit and it’s been great! I need to use it more. One of the best parts is I feel so connected to my students. One of my students said I love that we get to talk with you. In two days I’m guaranteed to have a real conversation with each of my students about their writing. Your comment is so inspiring! Thanks for sharing! I am excited to try this model in my classroom!! Hi – I love these ideas. I wonder how you handle or do you ever practice timed writing as part of your curriculum? I teach a pre-AP class and need to help students prepare at least some for writing under these timed conditions. Yes, I do a timed writing each semester. It gives me a chance to see how they do without spell check and my feedback. However, after they’ve written their timed essays, I do one of the following: 1) meet with them and do a “talk aloud” edit of their actual paper OR 2) Ask them to take a photo of their handwritten pages and upload those images to their Google Doc so I can see the original, then they type their drafts as is for typed feedback. Either way, we do it together. Great Idea I love this. I write when I am free and I have now 5 diaries of mine. when I am 12 years old I read a similar post from https://qanda.typicalstudent.org/ but this is also a good post. This is everything! Thank you so much for documenting this important practice. I think scheduling in time for productive struggle in class and providing real-time feedback during this time is authentic learning in action. Feedback is so important and must be part of the learning process, not the “grading” process. Hi there – I love your ideas. I very much believe in “front loading” feedback through the process and have had great success this year with Peergrade as a station that students work thru together. My question is this though … I teach at a highly competitive independent school. My students care highly about the process of getting to a “final” draft but care even more on where they end up grade wise. If you are meeting one on one with them during the process – when are you actually assigning a grade to last drafts? Is this while they are working or after? Is this also one on one? My real-time feedback is more like coaching. I leave comments, suggestions, questions, and resources to help them develop their writing as they work. when the assignment is actually due, I select 2-3 criteria to assess. At that point, I’m assessing those specific skills on a 4 point mastery scale using a rubric. I do those final assessments one-on-one with students. Those are the evaluation scores that go into my grade book. Hi Catlin– I discovered your books/blog this year and immediately tried Station Rotation. I do love it, and it has all the benefits you say it does. However, while I do bring home less grading, I find that I spend that same time at home planning stations, creating hyperdocs, writing up directions, etc. How & when do you manage the planning??? I don’t take any grading home anymore. Anything that I need to assess either happens automatically using an online program OR happens in a side-by-side assessment conversation. I build assessments into my teacher-led station or pull kids individually. All of my planning happens during my prep period or at home. That’s the part of my job that I LOVE, so I don’t mind doing that after school. It can be time-consuming but I’ve gotten much better and quicker as I use various models. I use the tech tools at my disposal as much as possible to save time (e.g., StudySync, NoRedInk, Vocabulary.com, TED ED or EdPuzzle video lessons, etc.) and I try to allow students a high degree of agency when making decisions about how they complete certain tasks. I also have “routine stations” that are easy to set up, like their self-assessment station and “my time station” where they can catch up on any work that they have not have time for previously. It helps to have those staples in the mix. Is it possible to see how you structure your week? When/how do you do any direct instruction? My weeks vary significantly because I am on a rotating A-B block schedule. Some weeks I see my kids two times for a 90 min block and other weeks I see them three times for 90 min blocks. 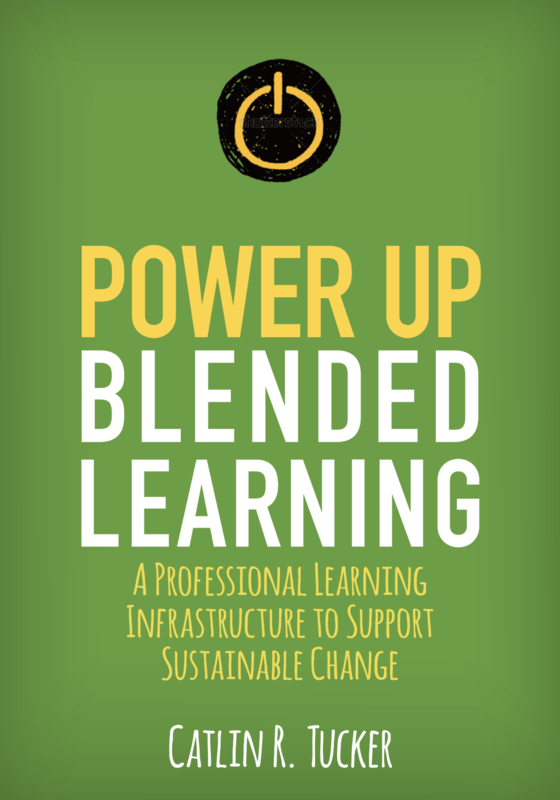 I also tend to use a range of blended learning models depending on the objectives of specific lessons. All of my first instruction for writing, grammar, vocabulary is via video. 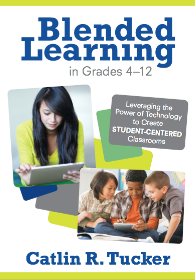 That way students can self-pace through the information and take notes. Then I use my teacher-led station for follow up instruction, reteaching, scaffolding, etc. I also pull individual students who are struggling after the small group follow-up. The video lessons are built into a Whole Group Rotation (if we have a Chromebook cart) or into a Station Rotation (if tech is limited). I rarely send video content home with students, but they can re-watch any of the videos on YouTube outside of class if they need to hear the information again.